Earlier this week, a U.S. District Court in Ohio granted summary judgment to Kaplan Higher Learning Edu. Corp., et al, in a case that underscores the difficulty the EEOC faces in proving a case against employers for the discriminatory use of credit reports in the hiring process. The EEOC filed suit against Kaplan alleging that Kaplan’s use of employment credit reports has unlawful disparate impact on Black applicants. The Court found that the EEOC failed to provide reliable statistical evidence of discrimination and therefore, could not set forth a prima facie case of disparate impact discrimination. As such, the court ruled for summary judgment in favor of Kaplan without even having to consider Kaplan’s alternative (and in our minds, sound) arguments of job relatedness, and business necessity as grounds for the legal use of employment credit reports. In order to determine the race of some of the applicants for the statistical analysis, the EEOC assembled a team of five “race raters,” who were asked to review driver’s license photographs and determine whether the individual was “African-American,” “Asian,” “Hispanic,” “White,” or “Other.” Individuals considered “multi-racial” were adjudged “Other.” None of the race raters had prior experience in determining race via visual means and the EEOC failed to prove that the “race rater” methodology was statistically sound or scientifically valid. The EEOC itself runs credit checks on job applicants. 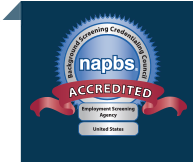 According to the EEOC’s Personnel Suitability and Security Program Handbook, credit checks are required for 84 of the 97 positions at the EEOC. The handbook bases the need for credit checks on the notion that “overdue just debts increase temptation to commit illegal or unethical acts as a means of gaining funds to meet financial obligations.” This sounds reasonable and lawful to us. Never mind that the EEOC stated that it has never “unfavorably adjudicated employees based on their debt issues” because that just makes you wonder why they would require the reports if they don’t actually use them. How about some common sense? It’s worth considering this final point: Kaplan is doing work for the US Department of Education (DOE) and in doing so, Kaplan’s staff has access to sensitive DOE financial data. Understandably, there are data protection requirements as part of the business agreement with a government agency. Kaplan had previously suffered at least one loss as a result of employee integrity and the misappropriation of student funds. 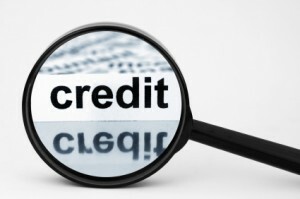 The use of a credit report as part of their screening methodology was implemented to reduce the risk of future loss. Isn’t this something any reasonable person would consider? In the end, the question of whether the use of a credit report has disparate impact or not has not been answered in this case. Rather, it underscores the difficulty the EEOC has in proving a prima facie case. These are very complex and difficult issues and the chance of any sort of landmark finding that has broad impact across a huge swath of employers looks increasingly less likely. The real news here is that if you’re using employment credit reports you need to have your processes nailed down and documented. Employers must draw a tight corollary between the risk of a given role and the use of a credit report, and they need to have good evaluation criteria in place that include the ability to individually assess each applicant. In our view, Kaplan is on the right track. How about your organization?